"We've replaced polygamy with infallibility." That's a pretty good one. and; "Certainly the church offers important things we need: Ordinances, opportunities to serve, a community of believers to love--in short, a lab in which to practice the gospel. ", notably, the phrase, "...a lab in which to practice the gospel. ", which is the only reason I'm not anxious to get too far out of "mainstream of the church", (not anything to do with following any mortal man, regardless of position or title). Beautifully put. Thank you, Adrian, for taking the time to write this out so clearly. Thank you for digging into this. I appreciate your thoughtful organization, explanation, and diligence in rooting out the origins of these damnable unbeliefs. These are deeply rooted too, ones that I've been taught my whole life. I even taught these falsehoods to others because I believed them too. I will not teach them again, but I know I will be in lessons and such where this falsehood is taught. I don't really know what to do then, do I stay silent and let them continue on in unbelief? Do I make a big stink and try and teach the truth and origin like you've laid out? This is a difficult one because the church cherishes this unbelief and if I were to say aught against it, I don't think I or the truth would be received well. Yeah...I agree. This is a really hard one. Once you know the scriptures well enough and have been taught by the Spirit, it becomes just intuitively obvious that replacing the gospel of Jesus Christ with "just following the prophet" is very wrong. But like you said...what do you do when you hear hogwash repeated in Sunday school? I teach Relief Society, and made the brave (or stupid) mistake of mentioning during one of my lessons how much I dislike the song "Follow the Prophet", and explained briefly why. Woah. Nelly. I can't tell you the crazy backlash I got. It was like all the air had gone out of the room, and several people's heads started exploding. The next 5 minutes were crazy. I actually had the seriously real fear that I was going to get called into the Bishop's office afterwards. ( I didn't). And I live in Seattle Washington for goodness sake, where people aren't as entrenched in "cultural" doctrine. It was really upsetting. And I'm pretty sure that there are a number of people (and their husbands) that really dislike me now. And that's fine, I don't care who likes me...but I do care about being able to feel charity amongst fellow Saints. So, really, unless you feel prompted by the Holy Ghost, then I would be very careful, or you may end up in a bad place. This is SUCH a huge subject for people. So much so, that's it's a little ridiculous. So you have to be careful. People who can't handle the truth on this subject are going to freak out on you, and that can destroy charity (theirs and yours, if you're not careful). Of course, truth and the Spirit above all. So if Heavenly Father asks you to say something. You say it. Otherwise, I think you should be careful and wise. We have a group of like-minded people in Seattle. We'd love to have you join us. I have gone down this road. I have spoken up...and I have been "taken down"...even excommunicated. The advice I would give would be this: speak by the Spirit, tell the truth, stand up for what is right, don't be afraid (even if they excommunicate you). What do you have to lose by standing up for the truth? Membership in an organization that doesn't embrace it? Affiliation with those who reject it when they hear it? The Church will not be healed by keeping silent. That being said...be kind. Be respectful. DON'T ARGUE! Don't get mad. Be prepared to be rejected, "disciplined", etc. DON'T expect the bishop or stake president to understand. (They almost certainly won't.) Even if you say the "right" things after you "reveal your hand" (i.e., "I follow Christ, not an imperfect man"), they will "construe" what you say to mean you reject their leadership, even if you say you "support and sustain" them...and keep ALL the commandments. They will make you an offender for a word anyway. I'm finally coming to peace with not being a Latter-day Saint. I say this as I sit in the LDS chapel during Priesthood Meeting. (I even brought my non-member neighbor to Church today. How ironic! The "excommunicated" guy introducing his "visitor" in Priesthood opening exercises!) But my daughter was making too much noise to remain in EQ; I had to step out. I sat in hours of meetings today and didn't hear one inspired thing. Not even a scripture quoted in sacrament meeting. (Sunday School was about the scriptures, but there was nothing about Naaman we hadn't already heard many, many times.) The Church is, for all intents and purposes, spiritually "dead" now. "We believe in the gift of tongues, prophecy, revelation, visions, healings, interpretation of tongues, and so forth'' -- just as long as it doesn't happen here and now, except in some ethereal, nebulous, "only the bishop gets it" sense. The Holy Ghost is still working with "these people", but they want "religion", not a relationship with Deity. And they've been "talked out of" seeking one. If you don't speak up, who will? Seek Jesus. And when you find Him, speak up! I don't know how much longer I can continue to bring my seven children here. They are so bored, so malnourished with what they receive here. They know the difference. And they hate it. So do I. But, like many, I don't know where to take them (yet) on Sundays. Matt 19:29 And every one that hath forsaken houses, or brethren, or sisters, or father, or mother, or wife, or children, or lands, for my name’s sake, shall receive an hundredfold, and shall inherit everlasting life. I have also sat through those meetings for hours, hungry for spiritual nourishment; a scripture, mention of the Savior, new doctrine, feeling the spirit... anything, please! It is frustrating, so I've started studying the gospel on my own during those times. This is nothing that I haven't read, pondered and studied before. "What is a prophet for if not to lead by example?" We find Paul asking the Saints of his day to follow his exame. "Brethren, be followers together of me, and mark them which walk so as ye have us for an ensample." Can you please provide a reference for this statement from your post? "When this talk was given, it was roundly rejected by Spencer W. Kimball, who was the prophet at the time. In fact this talk very nearly earned Elder Benson a formal rebuke from the First Presidency, and he was required to apologize to the Quorum of the Twelve and explain himself to a combined meeting of all the general authorities of the church. In short, President Kimball was MUCH displeased with what was said, and considered it false doctrine." I appreciate that you are very thorough in providing references for your statements everywhere, but don't see one here. I'd really like to see that for myself. It was in Edward Kimball's biography of his father "Lengthen Your Stride." Sorry, don't have the page number at the moment. Thank you for the time you put into these posts, I have appreciated reading them. I have come to many of the same conclusions that you have with regards to infallibility. Can I request a source on Kimball calling Benson to the mat on his talk? I would love to have it to add to my study and sources. So it is hearsay then. Well, that depends on where Edward Kimball got it. If it was from Spencer W. Kimball's own journal, it wouldn't be hearsay. I haven't read the biography, but I'd like to, and I wouldn't be so quick to dismiss. Thanks Adrian, I appreciate the reference. I'll have to read the biography sometime. And it only took you 10 minutes to respond! Wow! And it took me 2 days to check for a response. Spencer was concerned about the talk. He wanted to prevent any misperception that the church espoused ultraconservative politics and wanted to discourage an unthinking follow-the-leader mentality. (note 12: Camilla speculated that if one of the other apostles had given the same talk there would have been much less reaction.) Church spokesman Don LeFevre told the press the day after the speech that it is "simply not true" that the Church President's "word is law on all issues-including politics." The uproar continued, however, and a week later President Kimball and his counselors issued still another statement to "reaffirm that we...exercise no constraint on the freedom of individuals to make their own choices in these matters." And end of quotation from the book. This is embedded in a section on politics, with Benson arguing for the church taking a more conservative activist stance, which he abandoned in 1984, and Kimball trying to rein him in. So, not as scandalous as made out to be in your piece, Adrian, but still pointing in the same direction. Then again, I have only read 10 pages in the book, not the whole thing. Three "versions" of the book actually exist. In order for the book to be carried in Deseret Book (which would imply endorsement by the Church), some things were left out of the published volume. The full manuscript was included on a CD included in the back of some volumes which goes far beyond merely providing documentation. It includes three versions of Lengthen Your Stride: (1) the text of the book as printed, but also (2) the same text with about 1,600 footnotes, and (3) the “working draft” that in- cludes much additional text and about 3,200 footnotes. Obviously the third version is the “real” book before it was trimmed down for publication. Though the concern was motivated by politics, the implication Benson conveyed in his talk was that anything the president said represented the very word of God, and that is where Kimball wisely felt it was necessary to rein him in. You can also read more at this link: http://exmormon.org/phorum/read.php?2,856352,857318 and in D. Michael Quinns book, “The Mormon Hierarchy: Extensions of Power" as cited in this link. Well said, "We've traded the Savior's injunction of "Come, Follow Me" with Satan's imitation, "Go, follow him." for the ref to the quote see the book, Lengthen Your Stride by Edward Kimball. Look for the chapter titled: Public Relations, Public Issues. “No one in this Church will ever go far astray who ties himself securely to the Church Authorities whom the Lord has placed in his Church. This Church will never go astray; the Quorum of the Twelve will never lead you into bypaths; it never has and never will” (in Conference Report, Apr. 1951, 104). Whether that strikes you as delightfully reassuring or heretically alarming depends, I suppose, on whether you believe it or not. What caused President Kimball to see the claim of infallibility so very differently as President of the Church™ 29 years after he apparently championed it? To maneuver the original quote from Kimball's days as an apostle in an end run around the subsequent stand against the concept when he was actually serving as president of the Church™--is a remarkable example of proof texting at any cost. Whether this was done out of ignorance or by design the result is the same–we're encouraged to trust and believe something that is unscripturally false. Spiritual disaster awaits. But wait, there's more. '14 Fundamentals' seems destined to continue poisoning our hearts and minds in a big way. Elements from '14 Fundamentals' have been woven into Chapter 11, 'Follow the Living Prophet' in this year's priesthood and Relief Society manual. It's astonishing. As a gospel doctrine teacher last year I was impressed that the ancient Israelites apostatized from the top down. It was most of the kings, the prophets and priests that went whoring after Baal and Ashteroth with the ordinary folks happily followed their lead. While the manuals are written by committees of scholars, someone at the very highest levels of leadership has to green-light the final result. Do the very highest levels of leadership believe they are infallible? Do they suffer from holy envy for the Catholic Magisterium who openly claim infallibility? Let the humble followers of Jesus Christ say 'no' to such perverse mischief. "J. F. Smith spoke upon the Priesthood and revelation. It was a very interesting discourse. He said God will not keep any man on earth to preside over the Church to lead the Church of God astray. He will take him away first and all men should sustain the authorities of the Church or Priesthood." Wilford thought it was "very interesting", perhaps because it was news to him at the time. I remember reading something Heber C. Kimball stated in regards to taking Lucy Walker to wife - he said he hoped the Lord would take him before he ever apostatized. Unfortunately I haven't been able to find the source of that again. I think this definitely fits these other instances of how myths get started and become doctrine. I love this post. I would love a source to back the story of Elder Benson nearly getting a formal rebuke and needing to explain himself to a committee. Can you tell me where you got that information? Please see above in the comments discussion. Here's a scripture to challenge the follow b the prophet mantra too. It is one thing to say that the Lord will never permit any man who stands as President of the Church to lead the people astray (wilford Woodruff regarding the 1890 Manifesto), it is quite another thing to say "The Lord showed me by vision and revelation exactly what would take place if we did not stop this practice" (from the last pages of the D&C). I lately read in "Zion's Redemption" by Francis Michael Darter (p. 81) that President Woodruff years later made a statement that he did not receive such divine revelation. So who is leading astray whom here? If what Darter writes is true - and I assume it is - that sure would make President Woodruff feel very uncomfortable where he is at right now, don't you think? Darter did not provide any source though, unfortunately. Hi Julene, Please read through the comments thread, where your exact question has already been asked and answered at length. Adrian said, "As a by-product, we were left with a lie." It is interesting that the "doctrine" of polygamy (as a requirement for exaltation) was a lie as well. So a lie was replaced with a lie. I do find Pres Kimball's rebuke of Benson astonishingly hypocritical. As was pointed out by Patty above, Kimball had publicly taught the SAME false and wicked doctrine in 1951. Did he really believe "this Church will never go astray; the Quorum of the Twelve will never lead you into bypaths; it never has and never will”? Feb. 1980: Elder Benson delivers his false doctrine talk. 1980: I assume it was in 1980 that Pres Kimball privately rebuked Elder Benson and called him on the carpet. Oct. 1981: That pernicious quote of Wilford Woodruff was added to OD 1!! 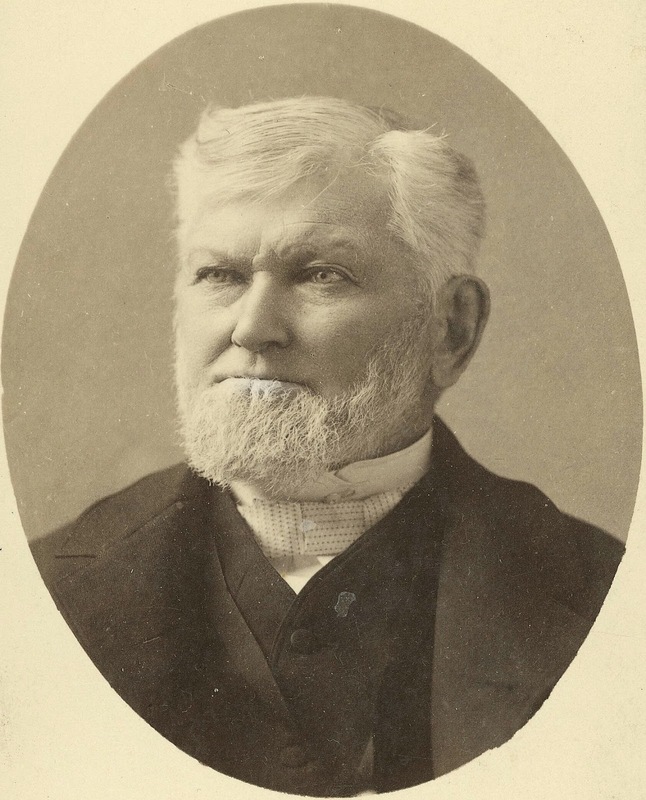 So UNDER Kimball's watch (and within months of his rebuke of Benson), the Church canonized a few excerpts from addresses Wilford Woodruff gave, by adding them to OD 1 in the D&C. The key anti Christ precept that was added was that the Lord would not permit the president of the Church to lead the Church astray. At the Oct 1981 General Conference there was no Church vote on this addition to our canon, and in fact, there was not ANY announcement in General Conference the excerpts would be added. The only "announcement" one can find is in an article buried in the Ensign Magazine in October 1981. Our rapid institutional apostasy may be directly attributed to this insidious, unapproved addition quietly inserted into our Scriptures in 1981. What I find obviously blatantly hypocritical of Kimball is to rebuke Benson in 1980 and the VERY NEXT year preside over the canonization of the SAME teaching he supposedly privately rebuked! The proper way to rebuke or correct false teachings would have been to do it PUBLICLY, so that future generations would be properly instructed and warned. The fact he did it privately gives insight into how little Kimball cared about preserving an important truth for posterity. The argument could be made he gave the rebuke for vindictive or political reasons. Keep in mind Benson had on occasion called out priesthood leaders for being cowards and derelict in duty for not standing up for freedom. He was very caustic and condemning of such leaders. I'm not aware of much evidence, if any, that Kimball was remotely of the patriotic stature of Benson in fighting for Liberty. So there's a reasonable chance that the private rebuke of Benson was vindictive, as a way to put Benson in his place, after years of being tormented by Benson's calls to repentance. In reality, the far GREATER sin was committed by Spencer W. Kimball for authorizing the canonization of the very same precept (WW's excerpt from 1890) the very next year in Oct 1981.